Considering launching a non-profit startup but unsure how to do it? 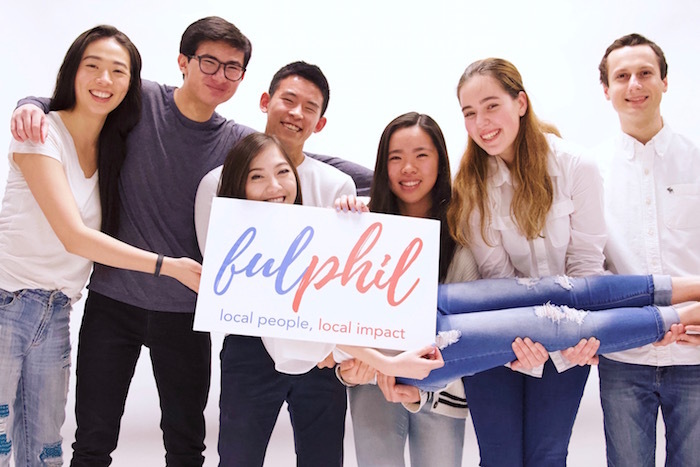 We chatted with Tiffany Yau, CEO and Founder of Fulphil to learn more about her experience launching a non-profit startup. As a student, Tiffany realized her passion for social entrepreneurship and social impact but realized there was a significant gap in proper resources for entrepreneurial-driven students like herself. So, she decided to launch Fulphil to provide students with more social entrepreneurship resources which enables students to experience a sense of empowerment and helps prepare them for their future careers. Keep reading to learn more about Tiffany’s experience launching Fulphil and her top 5 tips for anyone thinking about launching a non-profit startup. Fulphil provides social entrepreneurship resources to high school and college students to help them navigate their passion and purpose to make an impact in their future careers. 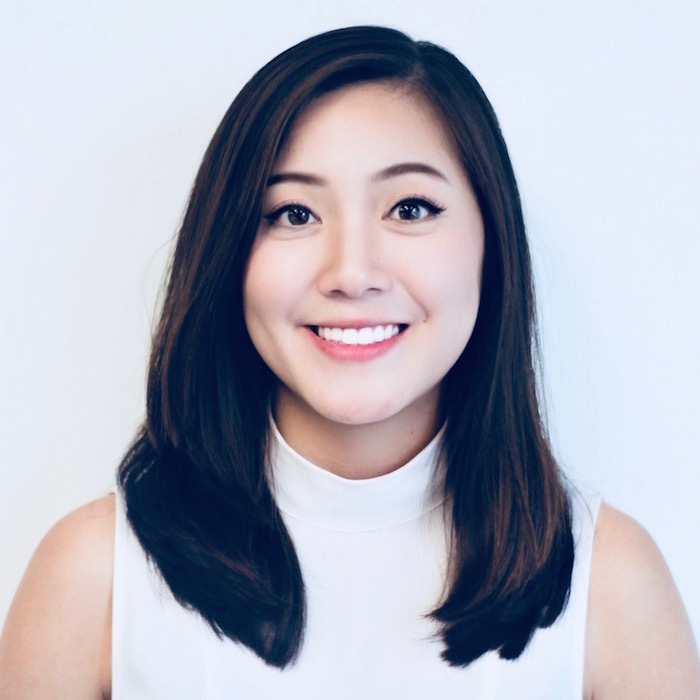 Tiffany is a dedicated leader passionate about creating sustainable social impact through social entrepreneurship and more importantly, community empowerment. She is the recipient of the 2019 Greater Philadelphia Social Innovation Award, and been recognized by Generocity, Social Innovation Journal, Philadelphia Citizen, Wharton Business Radio, and Penn News as a social entrepreneurship thought leader. She launched Fulphil and also Hult Prize Ivy in 2017 with the goal of empowering ambitious youth to pursue their passions through entrepreneurship. Tiffany is currently pursuing her M.S. in Nonprofit Leadership and B.A. in Sociology at the University of Pennsylvania (Cl'19). 1. So what exactly does Fulphil do? Fulphil’s guiding north star is to empower university and high school students by providing social entrepreneurship resources to help them navigate their passion and purpose to propel forward their future careers. Our generation of millennials and Gen Z’s are more impact-driven and entrepreneurial-minded than any other generation before, but a lack of proper entrepreneurship resources fail to set these groups up for success down the road. To paint a picture, 62% high school students lack entrepreneurship resources - even though a large number of them are interested in founding their own brands. Entrepreneurship learning provides more than just business skills to a student - it empowers them to become resilient to failures and more dynamic problem solvers. The issue lies in lack of exposure to resources, which ultimately limits them from realizing and pursuing their goals. We equip our students with the resources to become the impactful leaders our world needs. For high school students, we curate 1-5 week-long social entrepreneurship/career development programs where they can gain a startup education, work exposure, and college application advising. For college students, we teach social entrepreneurship at a grassroots level through our Campus Ambassador program. This is done by incentivizing college students with the opportunity to pitch their business ideas in a final case competition. Our goal is pinpoint their passion and guiding north star to set up their business success even before they walk across the graduation stage. 2. What inspired you to create Fulphil? Before creating Fulphil, I was lost in choosing my career path. When taking classes at UPenn, I didn’t initially realize what I was passionate about or what I was able to achieve. I’ve learned that to realize your passion, you have to be empowered. For myself, that was exactly what I was given through the Hult Prize Foundation. Only after winning the Hult Prize Ivy in 2017 and going to London did I realize my passion for social entrepreneurship/social impact. I found that drive within me to want to make a difference in the world. I want to share that sense of empowerment for young students across the world - so they too can realize their potential. 3. What has been the hardest part about launching a non-profit startup? I’ve learned a nonprofit startup has similar challenges as a typical for-profit startup. Our model is revenue-generating, besides different legal responsibilities, there’s only nuanced differences in our operations model. In my experience, the hardest thing is finding strong talent to support your mission. We currently have 13 team members but identifying and building those who were right for our team was initially challenging. As the only Founder, a challenge for me has been navigating the delicate balance between delegating and micromanaging. 4. What is one thing you wish you knew before launching Fulphil? I always wished I had more exposure to a business/entrepreneurship curriculum in school. I studied sociology in undergrad - which means I didn’t get the business background that would have been valuable later. That’s something that always made me feel uneasy and lack confidence because I felt like I was playing catch-up. I’d stream YouTube videos or ask my peers who studied business to look over my materials. Yet in retrospect, I now recognize having that baseline knowledge of sociology granted me a larger appreciation and understanding of how to deconstruct social challenges. Which is a skill every entrepreneur needs to have in their toolbox. 5. How do your market yourself to Gen Z students? Instagram is a great way to market to them. For us, our team investigates different interest/fan pages that are attractive to Gen Z students and reach out to them directly. 6. What has been your most successful branding technique? Our branding is our strong point. We’re all about having high quality content that speaks to our brand’s vision and persona on all our digital platforms. 7. How did you partner WeWork? What is your relationship with them now? We partnered with WeWork initially by utilizing their space as event venues and helping to promote any relevant events in alignment with our mission/vision. We have recently been chosen to be a partner of Nonprofit Impact Lab, which helps nonprofits with their resources, so they are providing us space for free. It is currently under construction and to be ready by winter 2019. 8. And what’s next for Fulphil? Right now, we are ramping up applications for our high school program for the summer and for our annual challenge in public safety for our college students. We are also planning our Impact Summit to take place in November 2019. This is where we will showcase our top high school and college students in our flagship pitch competition. It will always be challenging but having a firm understanding of the problem you’re trying to solve is key. Many people often get excited about different solutions their startup offers but don’t exactly know what it is that they are solving and what motivates their target customers. In the end, knowing what drives your target audience will keep you going in the long run. As a nonprofit founder, you are someone who has the intention of helping the community or the world at large. That is attractive. Leverage it. I attended events very regularly when first beginning—and still do. The amount of support I was able to get from just simply talking to people was immense. Even more so, once I began talking to enough people, I’ve been able to operate as a connector between different community members. That helps you build your credibility as a community member and will prove valuable in getting connected to new people. I always ask new contacts I meet if they know anyone who may be relevant for me to talk to. I’m a huge believer in collaboration and working together with others to accomplish something greater than you. When starting a business, take time to intimately get to know your prospect stakeholders and gauge how feasible it will be to collaborate with them. Create a stakeholder strategy that takes into account who is within your reach, who will give you the time of day and how will benefit by having you as a partner. Especially in the social impact space - it’s critical to be fully aware of your identity as a brand and as a founder. As a nonprofit, it’s a lot easier to get support because, by legal status, you have good intention. Really using that to your advantage is key - and keeping your brand mission close to your heart in everything you do will keep you motivated. Remember - you are your brand, so your actions reflect upon your startup in terms of how you communicate to people externally and your team internally. 5. Stop Thinking… And Do! When you have an idea, it’s easy to wait for the right time to start. Oftentimes, people wait to gain more work experience to prepare themselves. The fact is, there really is no right time. Entrepreneurship is like jumping off a cliff and learning how to build a plane on the way down—there is no right time because it is something you learn by doing. Thank you Tiffany for sharing your tips to launch a successful non-profit startup! Whether you are considering launching a non-profit startup, an app or an e-commerce brand, it’s important to always remember that there will never be a perfect time to do it… so stop waiting for the ‘perfect’ moment and get to work!